Don’t ask me why I like the sock and shoe/bootie combination this winter, but I do. Even went as far as to put a pair in my shopping bag, but chickened out at the last minute. Haven't been brave enough to bare the legs without full tights protection! Why do children’s shoes have to light up? You know the ones - the lights come on when the shoe hits the ground. I have no idea, but helping two sets of friends’ children into their sparkly light up shoes last week it got me thinking. Whichever designer came up with the idea that it was a good thing for children’s shoes to light up should be shot. And why has this trend caught on and stayed? In case you hadn’t noticed, I hate these shoes with a passion and hope I won’t have to persuade my daughter one day out of buying some. So far so good. Why should these shoes need lights anyway? Do you need to keep track of your children after dark that often? I would suggest that they should be in bed by then. Is it an incentive to make the child wear the shoe? If so, once the novelty factor has worn off, I’m not so sure how effective that would be. There are so many beautiful children’s shoes out there. 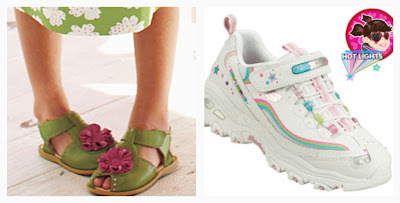 My current favorites, Livie and Luca's Flower Sandals, are on the left; some heinous light up shoes on the right. I have been meaning to write about my love affair this winter with all things sparkly. I have been jonesing after glittery things and not just for the night, probably to make up for the lack of sunshine. I remember when we were growing up being given specific instructions by my mother about what was and was not suitable in terms of clothes. I remember her saying shiny fabrics and sequins were not suitable for the day. Well I guess times have changed. The trick if you want to wear these items during the day is to ensure that you only have one sparkly item, and everything else you have on is fairly casual. The Tessera necklace is a great addition to a formal dress at night but I like to pair it with a white t-shirt, jeans and a blazer for day. Similarly I wear the NPLH flats during the day with a pair of jeans to counteract the glitz and glamour. I really want some sequin leggings, but who am I kidding? Where would I wear them? OK, too many of these. I’m going to have to stop. I like this a lot. Unfortunately H&M are one of the few retailers without an online retail presence in the US, so I won’t be able to buy but the prices are reasonable. This represents the second collaboration between the two and hits stores today, February 20, 2010. 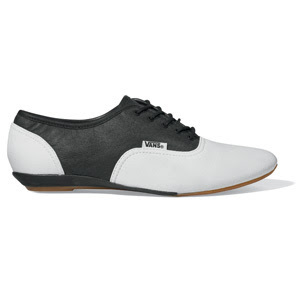 Love this updated take on the saddle shoe with a mini-wedge heel from Vans. 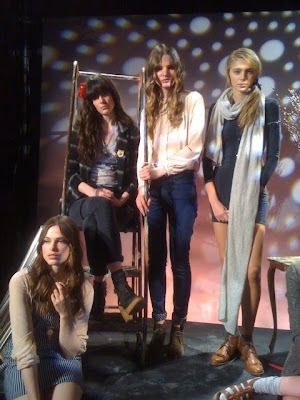 British “It” girl-slash-model-slash-TV presenter Alexa Chung has produced her first designs for Madewell, part of the J. Crew group. It's Madewell’s first celebrity collaboration and the collection will take inspiration from her personal androgynous style – polka dot and dungaree dresses, high-waisted skinny jeans, oversize jackets and printed tees. The line will be in stores autumn 2010. I’ve ALWAYS been a fan of dance music and came across this Boston-based band a few months ago. They’re fairly new (the lead formed the band to impress a girl) and I don’t think they have much experience, but I love the songs although the leads falsetto may not be everyone’s cup o tea. My favorite track is The Reeling (Groove Police Remix), but Little Secrets (teaser video below) is also fun. The full video for the latter will be released this Thursday on MTV. Mark my words they’re destined for big things. Very little can be done to change the style of a pair of sunglasses but still maintain a shape which flatters faces of many shapes and sizes (think Kanye’s horrendous shuttered sunglasses trend of a few years ago). However Karen Walker has designed a range based on a Mayan/Aztec theme which are just different enough to be unique and interesting, but which still manage to compliment the wearer without bringing out too much of the crazy. 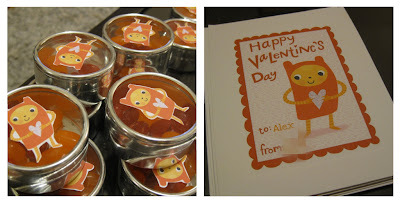 Homemade Valentine's Day cards and treats I made for my daughter's classmates. 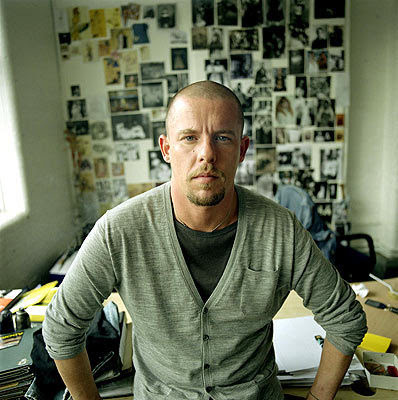 Some sad news this week with the passing of the designer Alexander McQueen, apparently by suicide. My first memories of him were watching “Style with Else Klensch” on CNN in the late 1980s (whatever happened to Elsa?) which was my only in pipeline to fashion and design in those days. I remember watching the backwards, non-interviews he gave when he was a student, refusing to face the camera and I thought, what a pretentious gimmicky thing to do! It was only years before I saw what he looked like. What a wasted talent but very sad given that his death was to follow so closely on that of his mother with whom he apparently had a very close relationship. Only recently I featured some of his designs and collections and was growing to have a greater appreciation of his talent. Whether you loved his designs or not they were always thought-provoking and weirdly beautiful. When will the madness end? Yet ANOTHER fashion collaboration, this time between Kate Moss (who is herself no stranger to such things having already “designed” for Topshop) and French, luxury leather-goods brand, Longchamp, famous for its foldaway ‘Le Pliage’. The Kate Moss for Longchamp collection was launched in Paris at the end of January and the collection will be launched in London on February 11, 2010 at the Longchamp Boutique on New Bond Street and at ‘The Wonder Room’ at Selfridges. I’ve seen brief glimpses of the bags but I’m not too impressed with what I’ve seen. Zebra print? Really? Don’t think Ms Moss would be caught carrying one of these down the street if it wasn't one of her own designs. 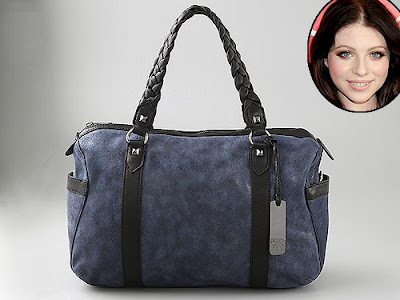 Actress Michelle Trachtenberg has joined with Botkier (makers of my current handbag) to create a bag for non-profit Oxfam International. There’s nothing spectacular about the bag’s design but I guess if it’s for charity the aim is to make it attractive to as many people and as inoffensive as possible. The bag costs $545 and is available for purchase now exclusively at shopbop.com with 50 percent of proceeds going to Oxfam.